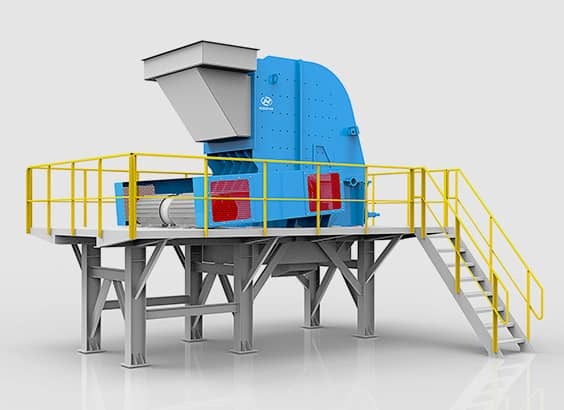 The modular crushing and screening plant is consisting of one or several crushing or screening units based on the customers’ needs of the projects. 1. Impact crusher modular crushing plant is mainly used for crushing minerals and rocks which are below medium hardness. 2. The structure of impact crusher modular crushing plant is simple and beautiful. All independent workpiece can be split, which is convenient to assembling, disassembling and transporting. 3. The standardized feeding hopper and discharging hopper (self-abrasion and resistant) can be configured according to the customer's needs. 4. The design of ladders, handrails and surrounding walkways is easy to inspect and maintain for any parts of the impact crusher. Main steel structures Support base, Maintenance platform, Ladder and railings, Feed chute and discharge chute (optional).